Add a beautiful warm day in March to the biggest antique show in northern California and you have brocante nirvana in my opinion. 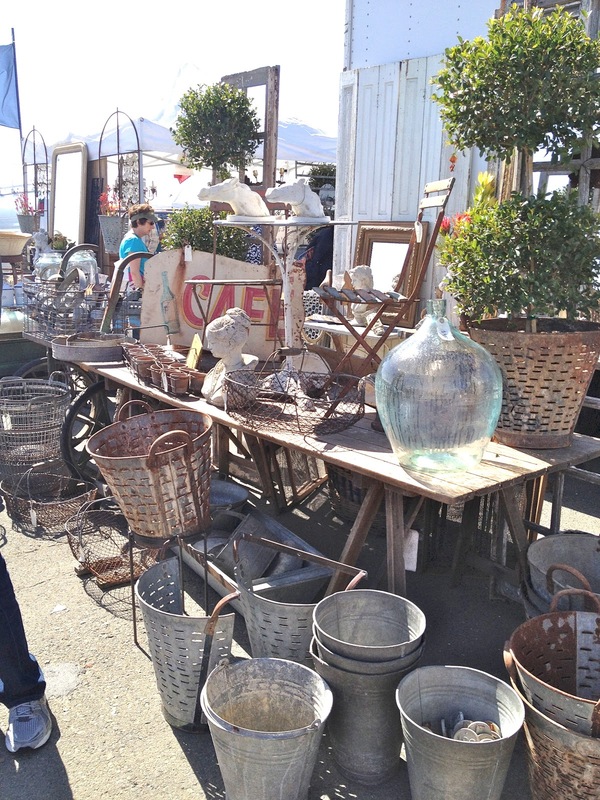 It was incredibly packed at the Alameda Point Antiques Faire yesterday as everyone and their mother decided to make a day of hunting and gathering by the bay. Everyone and their mother would include Ashley and me! We arrived around 11:00 am, which is way too late to be considered a serious buyer. No matter. I am no longer a dealer looking for resell merchandise, and besides, the best deals are at the end of the day. 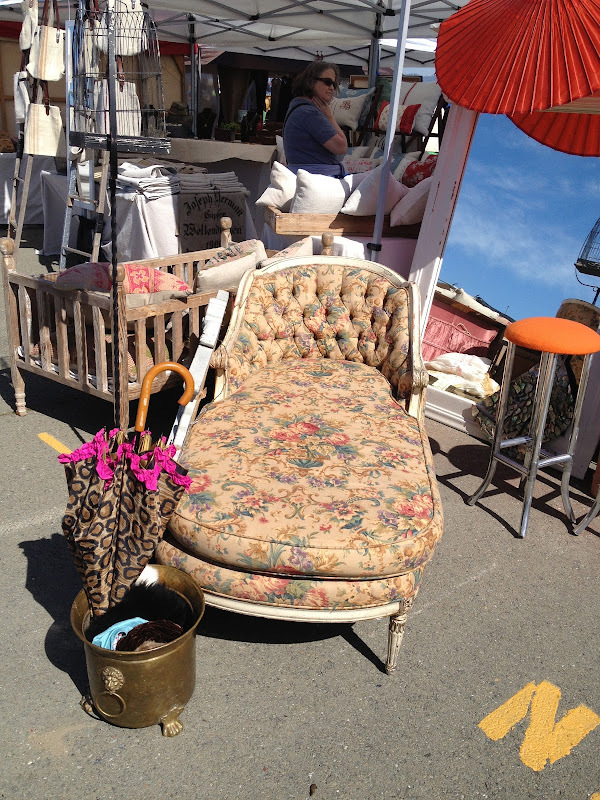 Like a classic floral chaise. Or a crazy quilt upholstered chair. 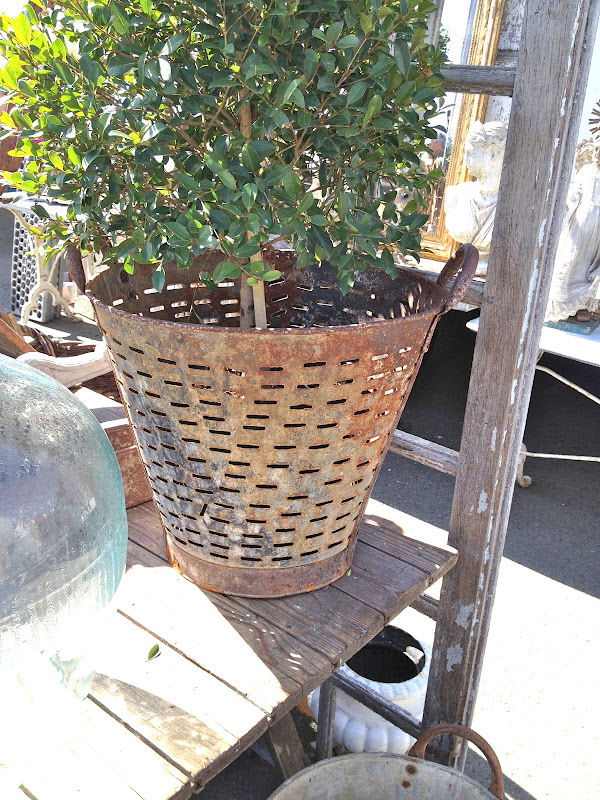 There was no shortage of rusty, crusty finds like the fabulous French antiques in Atelier de Campagne's booth. Then the lightbulb went off, both figuratively and literally! Ashley realized that she needed stuff for her apartment walls. 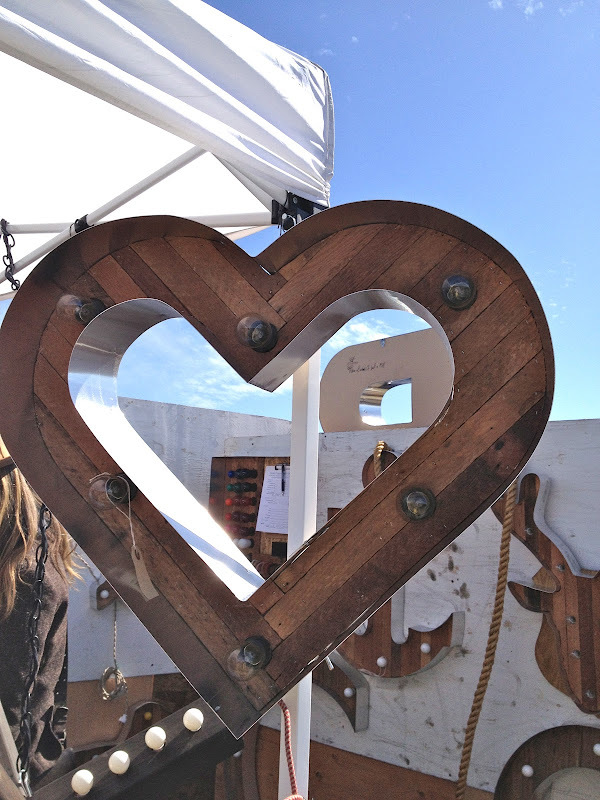 We both fell in love with these one of a kind lighted marquee signs by Scott Coppersmith Designs. Later, when we got home, I realized that I've completely lost my mind! 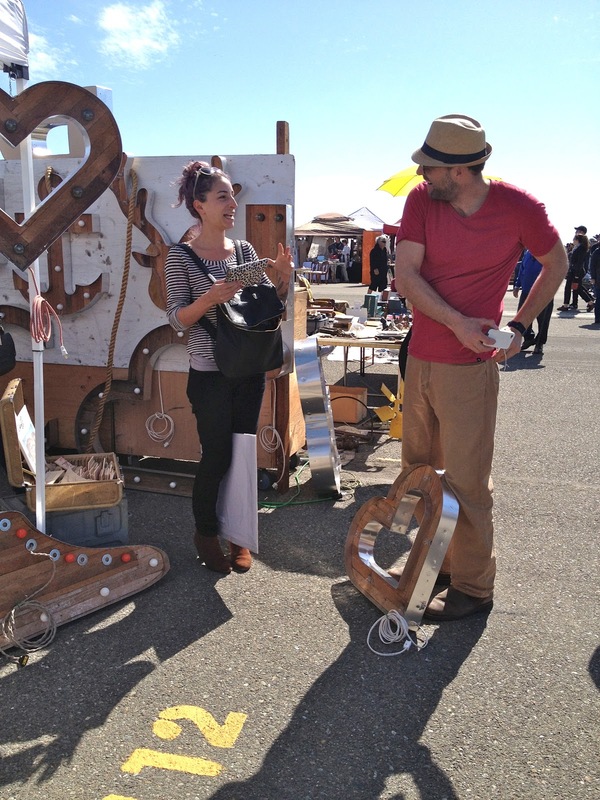 What the blank am I going to do with this "antler light sculpture thingy" you are probably wondering! Trust me, I think I have a vision. A very outside the box vision! 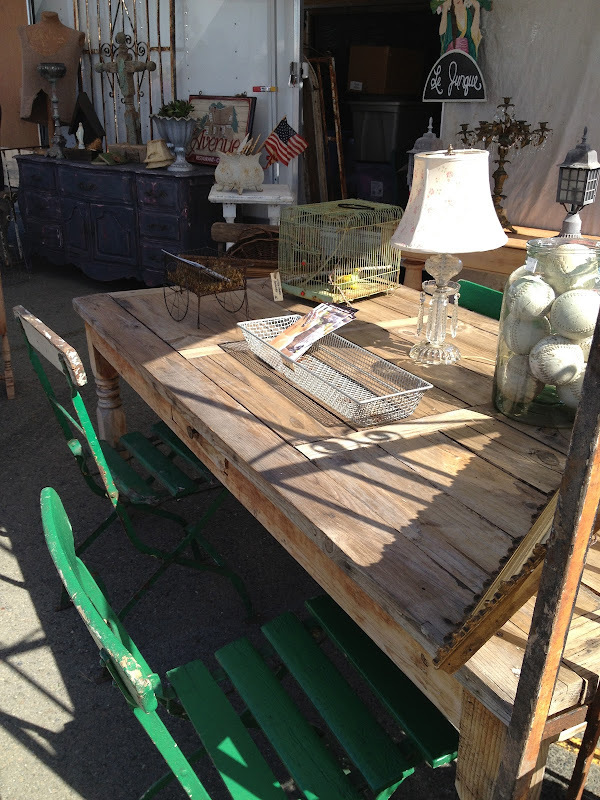 Interesting flea market!I would like to visit it ! Can't wait to see what you do with the deer! I am so longing to get to Alameda! I haven't been in ages. It is especially nice when you don't freeze your you know what off!! The deer will be really fun at holiday time....love to see all the stuff at Alameda! Omgosh, my friend went yesterday and said it was really crowded, but beautiful weather!! Love your deer head!! I have looked at letters for my family room wall. I have a large old neon P on my backyard fence and I love it!!! How fun! Tell Ashley, love her ♥!! Someday...I will make it here on a Sunday! 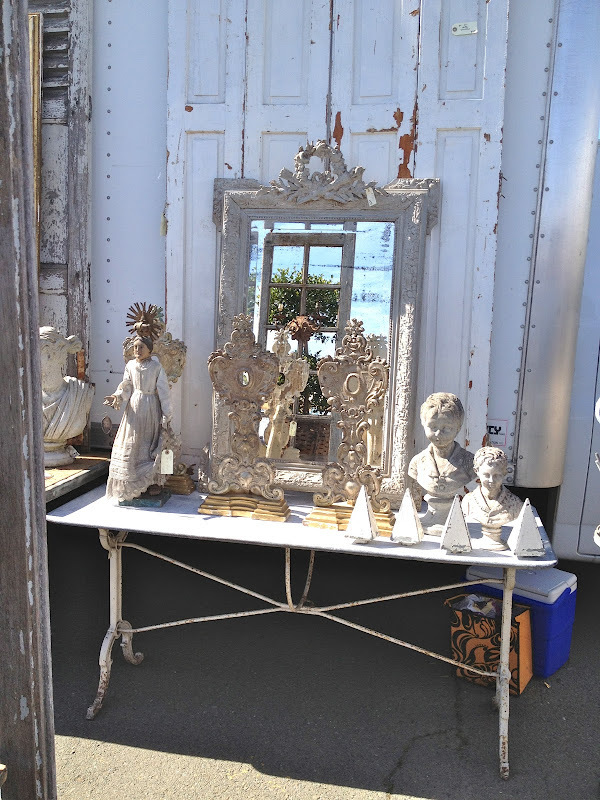 What a fabulous market; thanks for showing the great finds to be had! Oh, this looks like a prefect day to be out at a market. Love your fun finds. Can't wait to see what creative idea you have in mind. I know it will be fun! I love whimsey! The thought of being at a show like that makes me want to cry with joy! I'm LONGING for new and different shows! LOVE the deer and can't wait to see what you do with it!! Thanks for sharing this great post! 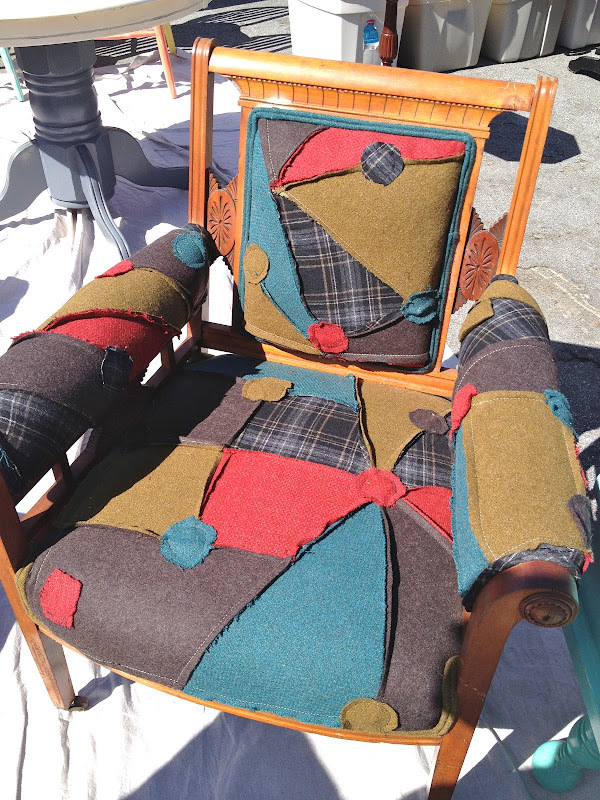 I'll take that and that and one of those and all of those and .... not the crazy quilt chair. Lol.